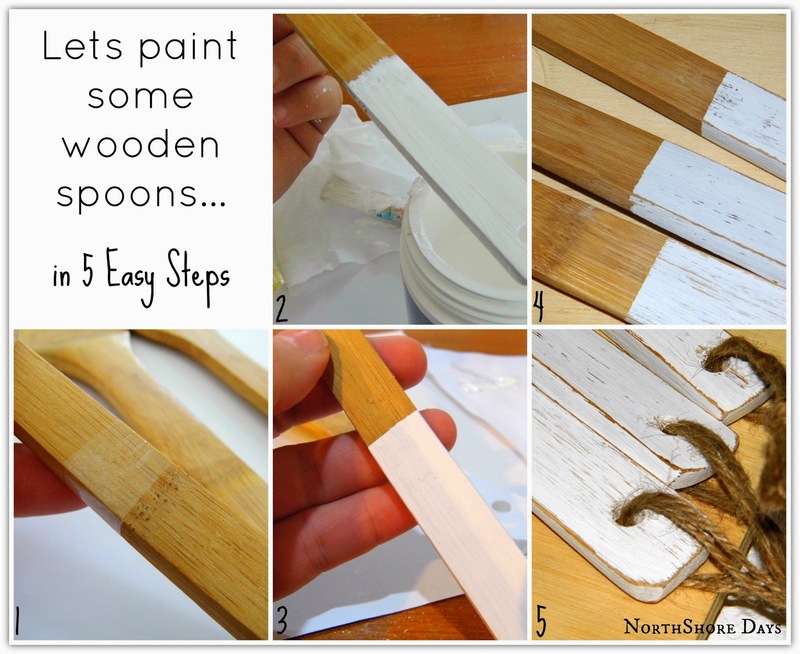 I know painted wooden spoons have been done A LOT in blog world, but I really love them, so had to try them myself! And they are soooooo easy! Super easy and quick to do. So go grab yourself a set from the dollar shop and lets paint some wooden spoons! This set was approx $3 and made from bamboo. Literally all you do is tape around the spoon where you want and paint the ends with your choice of colour. Of course I used white paint (Dulux acrylic interior paint) and painted 2 layers. Once dry I sanded evenly and distressed the edges. I threaded twine through the holes at the base of the handles, just for a fun look. I am really happy with the end result. I use them a lot and they have washed extremely well. I think this is such a fun, inexpensive gift idea too, don't you? Natalie this is a fun and easy project! Of course I'm eyeing that blue starfish in the background! Did you make it?? I think these would make a great gift. In fact, I need some new wooden spoons...might just have to make myself a gift.